Sakai Community DocumentationSakai 19 User Guide (English) LessonsHow do I change the background color of a block? Note: The Lesson page must already contain content before you can change the color of the block. 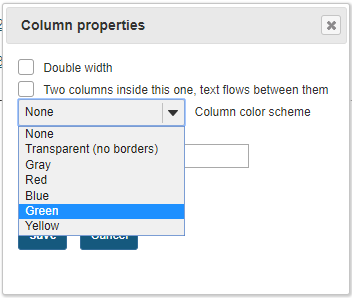 Select the column properties icon in the top left of the block. Choose the desired color from the drop-down menu. The selected color will display. 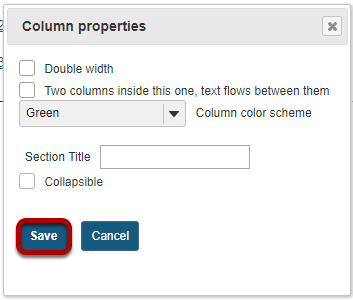 Next: How do I create collapsible sections?